Artemisinin, a potent anti-malarial drug, has been widely hailed as a promising alternative cancer treatment. Scientists from the National University of Singapore (NUS) recently showed that its anti-cancer properties could be enhanced by 10 folds when used in combination with Aminolaevulinic acid (ALA), a photosensitiser or a drug which, upon exposure to light, leads to generation of free radicals that can kill cells. ALA is used in photodynamic therapy, in combination with a special light source, to treat various types of cancer, including skin and prostate cancer. A team led by Dr Lin Qingsong from the Department of Biological Sciences at NUS Faculty of Science, together with Dr Wang Jigang and Professor Shen Han-Ming from the Department of Physiology at NUS Yong Loo Lin School of Medicine, recently discovered that a combination of artemisinin and ALA could kill colorectal cancer cells and suppress tumour growth more effectively than administering artemisinin alone. "Artemisinin and ALA are both existing drugs that are well tolerated by the human body. As such, this promising cancer treatment could have fewer side effects," explained Dr Wang. The findings of the study were published in the scientific journal ACS Central Science in July 2017 as the cover story. Dr Lin said, "Artemisinin has been reported to possess anti-cancer activities in recent years, but the mechanism of the drug has not been well understood. In this study, we found that the anti-cancer mechanism of artemisinin resembles its action towards malaria parasites." The research team had previously conducted a study on the antimalarial mechanism of artemisinin and its potent parasite-killing effect. The study showed that artemisinin is activated by haem, an iron containing compound that is an essential component of many biologically important proteins such as haemoglobin and many metabolic pathway enzymes. Malaria parasites rely on haemoglobin as their food when they reside in red blood cells. Digestion of haemoglobin by the parasites releases large amount of haem, leading to activation of artemisinin in the parasites, attacking multiple proteins that are essential for their survival and thus killing them. In this recent study, the researchers found that cancer cells have higher haem levels as compared to the non-cancer cells, and an elevated haem biosynthesis pathway. This is likely because cancer cells have higher rates of metabolism, and many metabolic pathway enzymes require haem for their activities. Upon activation by haem in cancer cells, artemisinin attacks more than 300 proteins, many of which are important for the survival of cancer cells. Guided by this mechanism, the team also discovered that the anti-cancer activity of artemisinin can be further enhanced with addition of ALA, a clinically used haem synthesis precursor, to increase haem levels inside the cancer cells. NUS researchers found that ALA co-treatment significantly enhanced the killing effect of artemisinin against colorectal cancer cells, whereas the drug combination has minimal effect on the non-cancer cells. 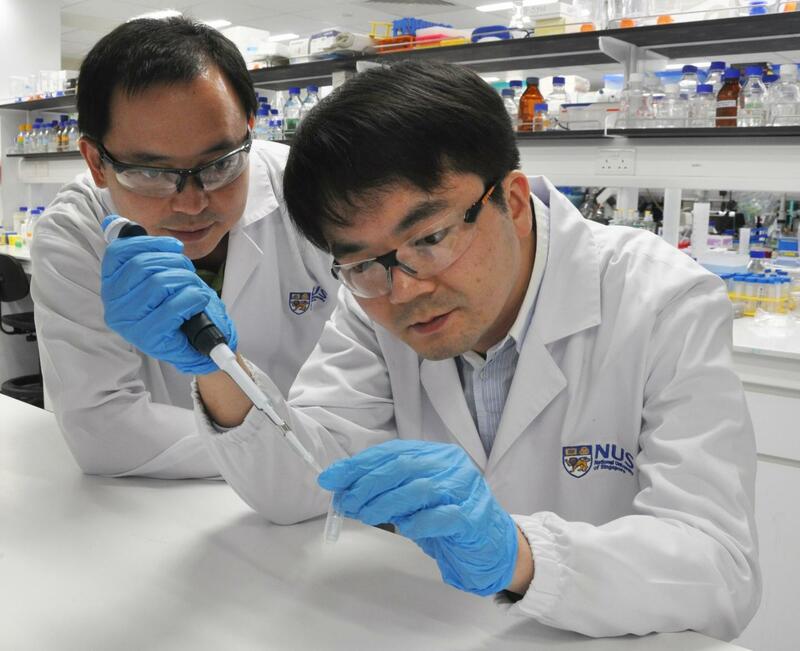 Prof Shen added, "Having developed a better understanding of the anti-cancer activity of artemisinin in colorectal cancer, we will also be testing this combination treatment on other cancer types, such as liver cancer."